Tucker’s face was drawn and grim when he pulled into the driveway in Weekapaug, supposedly for a leisurely dinner and night with us in this final full week before his wedding. He and his fiancé, Lisa, had been out straight with work and wedding plans since…well, pretty much since he commissioned a snow sculpture carving for his proposal last July. We hoped this overnight would be a respite. Given the options in what “blowing up” might mean, this was stressful, but not disastrous. Lisa might argue me on this, but the two of them were united in their distress, and that union, be it in joy or despair, was what all these plans were about. Still, Lisa purchased the dress back in the fall; how could it not be ready? Over the past few months, Tucker’s voice on the phone had been cheery, for the most part, but selecting invitations, pondering colors and ribbons and fonts, tromping from venue to venue in search of THE place, assembling welcome bags, and monitoring RSVP’s, well, these had not emerged as my son’s favorite activities. When Dave and I got married in the seventies, my mother took care of details. I chimed in on guests and flowers, but I was still in college, a kid really, and Dave had zero interest in weighing in. “Do you ever wish you’d used a wedding planner, Tucker?” I asked once. “Every day,” he replied. With each call to our son, I kept hoping our question, “Are you feeling less stressed?” would elicit an affirmative, but a sense of relief had remained elusive. While my only responsibility was arranging the welcome dinner the night before the wedding, I was anxious about that. My to-do list was short and definitive - select a restaurant, plan a menu, decide on decorations and make photo collages of Lisa and Tucker. I could imagine the restrained panic the kids lived with. They were so excited about being married, so excited about their honeymoon – about being away, being together, about leaving this monolith of mind-spinning details behind them – and I wished there could be some fun in the anticipation of the wedding itself. But I get it: for me, the delicious sense of anticipation I used to experience as a child is often overshadowed by jaw-clenching, knots-in-shoulders, sleep-squelching, stewing. “Have faith in the unfolding” has become my oh-so-wise mantra, but I'm not very good at it. Standing in the driveway in Weekapaug, we tried to convince Tucker there was little he could do that night about dresses and pianos. 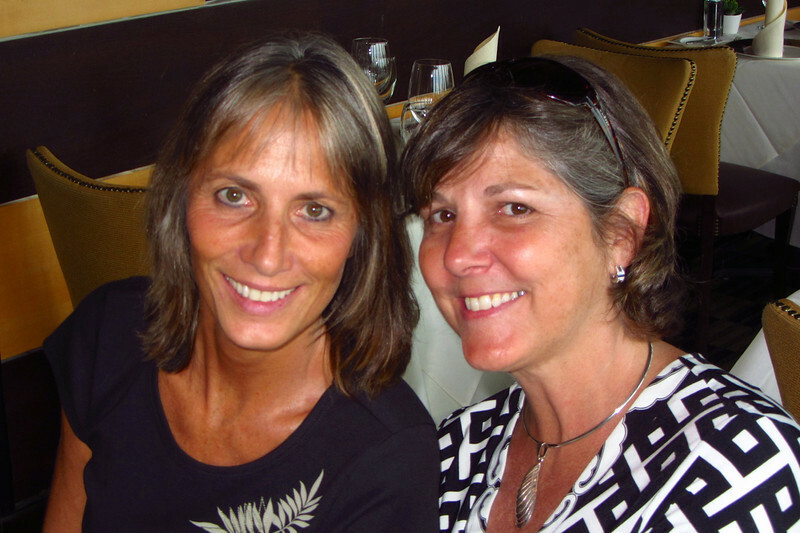 Jan, Lisa’s mother, texted him that Lisa was calmer and he should stay. “I’m concerned for your safety,” she said. But he wanted to be with Lisa in her worry, so he shoveled down his dinner of shrimp and salad; we swaddled him in hugs, soothing words, and admonishments to drive carefully; and he hit the road. Dave, Casey and I have settled in at the Millenium Hotel. Casey will be sleeping on a cot with us tonight and then moving into a room with her boyfriend, P.J. once he arrives tomorrow. 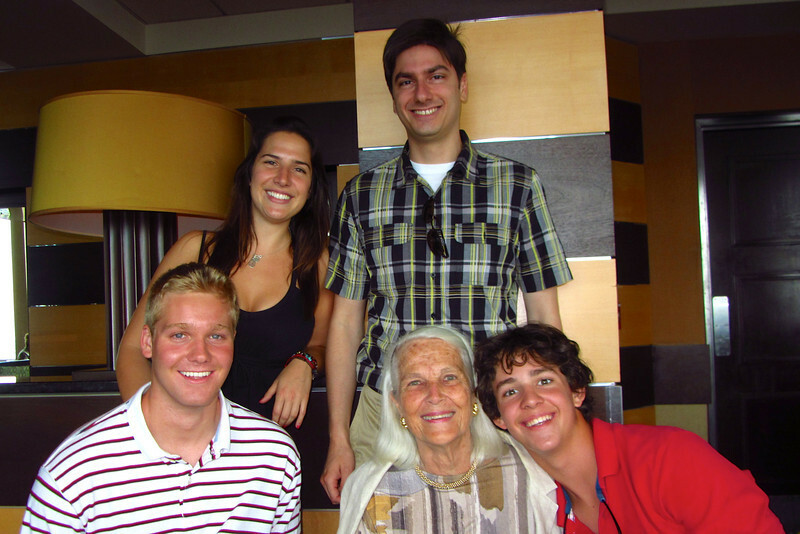 My mother, sisters Rita and Francie, nephews, and brother-in-law, know P.J. by word-of–mouth, photos and Facebook, but this will be their first meeting, so Casey’s abuzz about that as well as her brother’s wedding. Rita calls on her cell to say their van from the airport has pulled into the hotel driveway, so Casey, Dave and I zip down the hall to the elevator to meet them. At this stage of my life, with Tucker in Boston, my family in Pennsylvania, and friends scattered, visits by phone are the norm. What joy this will be to have my Ingersolls and Sylvestros, friends, and children all in one place. We approach the front desk, spot Mom, Rita and Francie, my tall, lanky nephews Jared and Campbell, and my brother-in-law, Matt. “Hell-ooooo,” I call, waving like an idiot and grinning widely… but immediately I perceive pinched faces. Oh dear. One room’s not ready, there’s confusion over bed-types (kings where twins were desired), and a question of whose fault this might be. Sigh. It’s almost 2:30, lunch is a few hours past, and food and a seat at a shady restaurant might be just the thing. McCormick and Shmick’s is right across the street: Casey gets a glazed look on her face and her lips curve in a baby sloth smile as she murmurs, “lemon drop martinis.” Everyone perks up. After depositing luggage in the room that is ready, we troop to the restaurant and nab a table outside. Our wrought iron chairs scrape on the bricked patio as we sit under a wide-spreading tree, enjoying the bustle around Faneuil Hall and the view of our hotel but a crosswalk away. I am close to content, but my stomach will not let me forget my responsibilities – my toast and the welcome dinner tomorrow. I have practiced my little talk in the shower, in bed (why sleep? ), and during the drive to Boston. Why does the thought of speaking, even before a loving audience, trigger such agitation? Beyond that, my antennae are swiveling: is everyone happy? Is Mom feeling more relaxed? She was concerned that a snack so close to our 6:00 dinner reservation at Top-of-the Hub was a poor idea, but she seems to be enjoying her gazpacho. Casey, Francie and Rita are blissfully sipping their lemon drops while I’ve chosen iced coffee. For now, I need the caffeine. Dave has been in cell-contact with Tucker who is joining us, the Ingersoll clan, for dinner while Lisa’s family gathers for a barbecue elsewhere. As we rise, snacks and drinks consumed, Dave spots our son striding briskly toward us, his eyes scanning the crowd. My boy - soon to be married! Of course I know this, but it’s hard to truly grasp that this tall, slender, handsome man is the little guy with the bowl cut, the toddler who loved Frog on His Own, the same kid who made the bi-plane of toothpicks, and collected He-Man action figures. It stuns me when we are recalling decades-old stories and Tucker chimes in with his memories of that time, proof that this grown-up holds within him the three-year-old, the five-year old, and the ten year-old Dave and I raised. 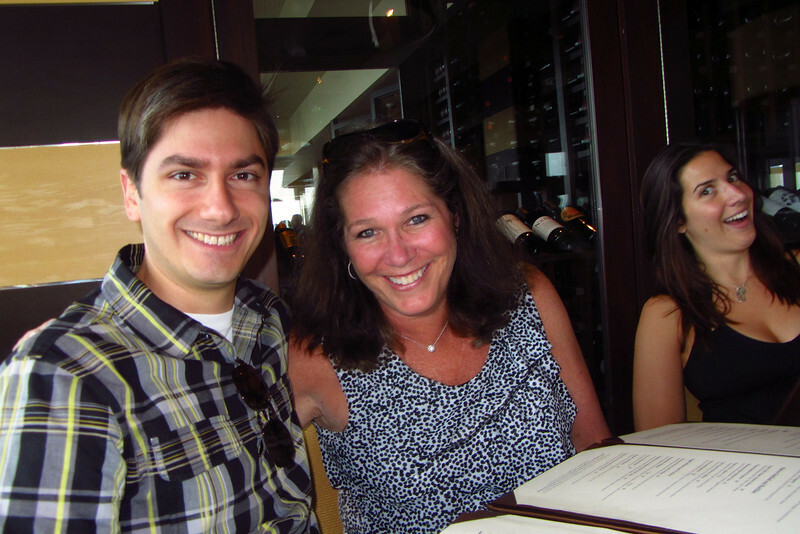 My son is getting married… and I wrap him in my arms and hold him close. The dance? I know he and Lisa have been taking dance lessons as many young couples do nowadays. Despite many family living room dance sessions in the eighties, with the kids bobbing on a parental hip or racing around like crazy-heads while Ry Cooder or Jackson Browne rocked on the stereo, my son was never an enthusiastic dancer. It makes sense that he and Lisa would seek to tighten up Tucker’s fox trot for their First Dance. 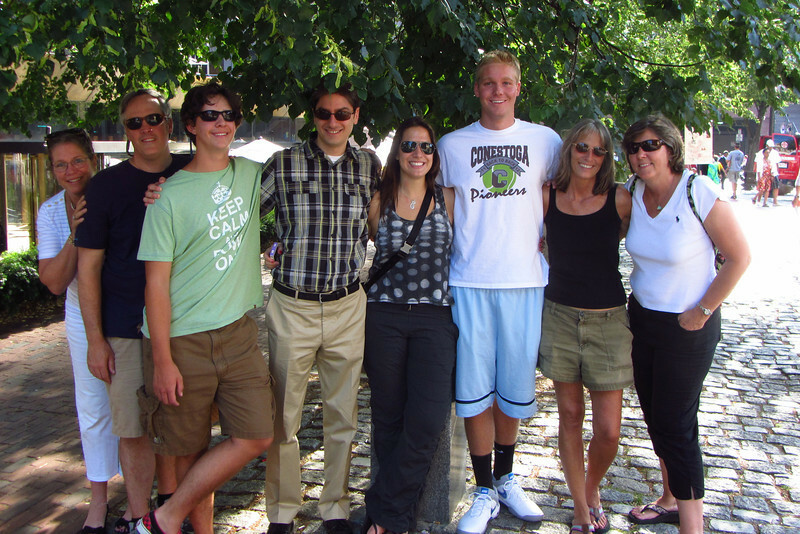 After a brief meander around Faneuil Hall, we return to the hotel, pick up keys to the additional rooms, freshen up, and hail cabs for the trip to the Top-of-the-Hub at the Prudential Center. Upon arrival, we spin through a revolving door, ride the escalator, and walk across the mall to the elevator. I reflect that it would have been a difficult stretch for Dad had he lived to join us. It is a long march for Mom too, but she doesn’t say a word until Dave pushes the button for the 52nd floor. Oh my God. How did I not know this? This special treat atop a skyscraper with 360 degree views might not be Mom’s favorite. on the Charles River below. Once we settle in, we ponder the menu for a time. A long time. It’s expensive and I keep reading it over, hoping with each pass that I’d missed an item more moderately priced. No. The server describes the seafood cioppino and its ingredients artfully, and, with just the right Italian and French accents, explains the difference between that and a bouillabaisse. With or without tomatoes, with a touch of cream or not, they remain costly. Mom selects a scallop appetizer for her main course, I choose vegetarian lasagna, Dave opts for the cioppino, and the others order steak, salmon, and halibut. Choices made, stunned absorption of the prices accomplished, Tucker raises his glass for a toast. A toast to Dad. With tears in our eyes, we repeat, “To Grandy.” It’s a big table, so Rita, Casey and Jared have to stand to lean across the table and I rise to meet their glasses. Francie, Mom, Campbell, Matt, Dave, and Tucker - we all make sure every glass connects for Dad. 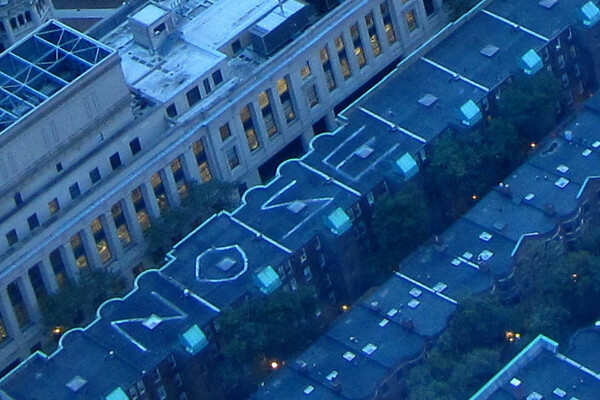 And later, during another Boston-beyond-the-windows viewing, Francie spots “NOSE” written in large white letters on a stretch of roof a block away. Mom nods in confirmation. “He’s here. I know he is.” “The Nose” had been my father’s nickname since his teens.